The following stories all have varying elements of urban fantasy and wit including a satire of mean moms who are real witches, a honeymoon hijacked by tropical mermaids that slyly harpoons the American dream, and the slapstick humor of monster hunters who find out that an epic literary legend is real. 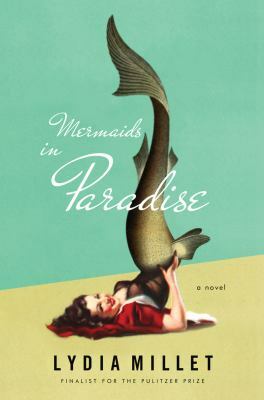 Mermaids in Paradise by Pulitzer finalist Lydia Millet defies easy classification. The mermaids of the title make a splash briefly, but the existence of the supernatural is more a trigger for the novel’s drama than a focus as in a typical Urban Fantasy genre work (for that you can check out Mary Janice Davidson’s Fred the Mermaid series). Also added to the mix is mystery, romance, espionage, and action. What holds all these elements together is the caustic wit of Deb whose honeymoon with her new husband, Chip, doesn’t go as planned when mermaids are spotted on a snorkeling trip. The book satirizes everything from upper middle class privilege, environmentalism, political correctness, relationships, and more. Along with Deb and Chip there are a cast of quirky characters that Deb describes in biting detail. I wasn’t expecting the ending, but as with many twists the plot took, I felt that the surprising conclusion still felt organic to the work and added a poignancy to Deb’s sometimes superficiality. Allison Darling is a witch, a secret she has kept and tried to ignore since she was abandoned by her mother as a child. She feels like an outsider in the wealthy town where she lives and never quite fit in with the Glamour Girls, the cool moms in town, until one day her magic begins to manifest whether she wants it to or not. When her mother passes away, Allison must confront not only her past, but that of her heritage to create a safe and better future for herself and her kids. 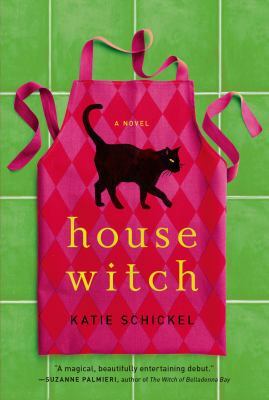 Housewitch at times felt like two novels in one; parts felt like a humorous take on the Mommy Wars with magic thrown in to add an air of absurdity to conflicts over things like children competing in a Science Fair and at other times it felt more of a straight urban fantasy with elements of a powerful evil witch and the use of classic nursery rhymes as spells. For me the humorous parts were stronger elements and I would love to see Schickel focus on this more in her future books since I felt she had a keen eye for satire. 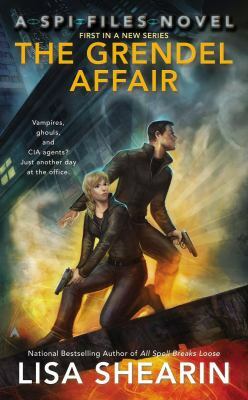 Of the three books on the list, The Grendel Affair is the most typical of the Urban Fantasy Genre. Fans of Seanan McGuire’s InCryptid series or Men in Black, will want to check out Shearin’s humorous tale about the SPI (Supernatural Protection Investigations), who keep the monsters in check in Manhattan. New agent Makeena Fraser can see through any spell or disguise so knows supernatural creatures from werewolves to vampires for their true nature. She and her partner must prevent descendants of Beowulf’s Grendel from ruining New Year’s Eve in Time Square and revealing the existence of monsters to an unsuspecting world. Fraser is spunky, but gets herself into a variety of quirky situations along the way to solving the case. The series starts off with the Fraser already working for the agency and throws the reader right into the action. The next in the SPI series, The Dragon Conspiracy is also available and is set at the Metropolitan Museum of Art.